Middle Atlantic Wholesale Lumber, Inc. 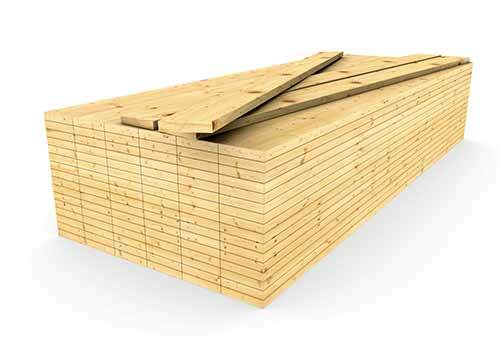 Direct truckload pricing available on Pine Lumber, Panel Products, and Spruce! Local, intimate market knowledge and relationships. Ability to deliver multi-stop mixed truckloads. Ability to find and provide specialty items. Service sets Middle Atlantic apart from competitors. Just in time delivery. What you want. When you need it. It is our Mission to provide our customers with extraordinary value by combining excellent customer service with quality building product distribution. Whether it is one pack from our warehouse location, or rail quantities direct from our mill partners, we provide our customers with unique and consistent solutions to meet their specific needs. By helping our customers manage their inventories and maximize their bottom line, we will in turn build and sustain a business on which they can rely. Middle Atlantic Wholesale Lumber, Inc was founded in 1977 by Jerry Kolker, former President of the company. 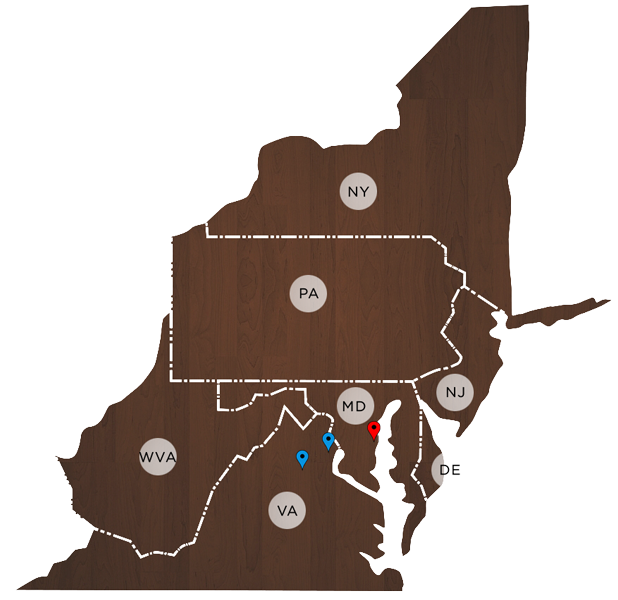 From our office located in Owings Mills , MD, a suburb of Baltimore, the initial focus of Middle Atlantic was the sale of Western lumber species to customers in Maryland, Pennsylvania, and Virginia. Over the next decade we continued to focus on Cargo stock. Then, in response to changes in the construction industry and our customers’ needs, we expanded our product line to include Spruce, SYP, panel products, and specialty items. Following Jerry’s retirement in 1999 his daughter, Mary Lou Carlson became President of the company. Over the last decade dramatic changes have taken place in the distribution chain of lumber and building supplies. Middle Atlantic has responded to those changes by adding industrial and government accounts to the customer base, emphasizing excellence in customer service, and providing a range of products to meet our customers’ needs. The company now has a sales staff of six. Our primary inventory location is on South Newkirk Street in the heart of Baltimore. We maintain a strong inventory to enable prompt delivery from stock, and we can provide mill direct shipments. We feature long lengths and custom services such as split units and special packaging. Maryland, Virginia, Pennsylvania, Delaware, New Jersey, New York, West Virginia, and more. The best access to the yard is via the Keith Avenue exit off Rte 95. (This exit is immediately North of the toll area). Take the Keith Ave exit. At the end of the ramp, turn left onto Keith Ave.
From Keith, take the first right onto New Vail St.
New Vail St. becomes S. Newgate St. Take the first right onto S. Newkirk St.
Drive .3 milesand you will see railroad tracks. Do not cross the tracks. You will see 2 yellow gates on your left. Turn left. A Middle Atlantic sign is on the fence to your left. Follow the road into the yard. All Remittance should be sent to the Administrative address below. Thank You!